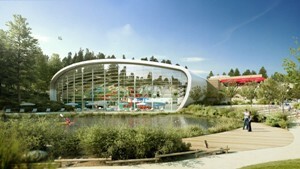 Center Parcs has announced that the construction of its fifth UK 'village' - a Bedfordshire-based development due for completion in spring 2014 - will commence in the next few weeks. The Woburn Forest site is located within an hour's drive from London, which will make it the closest Center Parcs to the capital. In addition to growing Center Parcs' share of the holiday market, it will also enable the firm to grow its conference and events business, which has seen the likes of Sainsbury's and Gap run events across its four sites. The building project will create 1,200 jobs, while the village will employ around 1,500 people once completed. The development has been welcomed by prime minister David Cameron, who said: "Center Parcs is much loved by many and this new site is not only great news for holidaymakers but great news for the economy too. "This expansion and the jobs that it brings will be a real boost to growth and a sign of the increasing investor confidence that there is too."